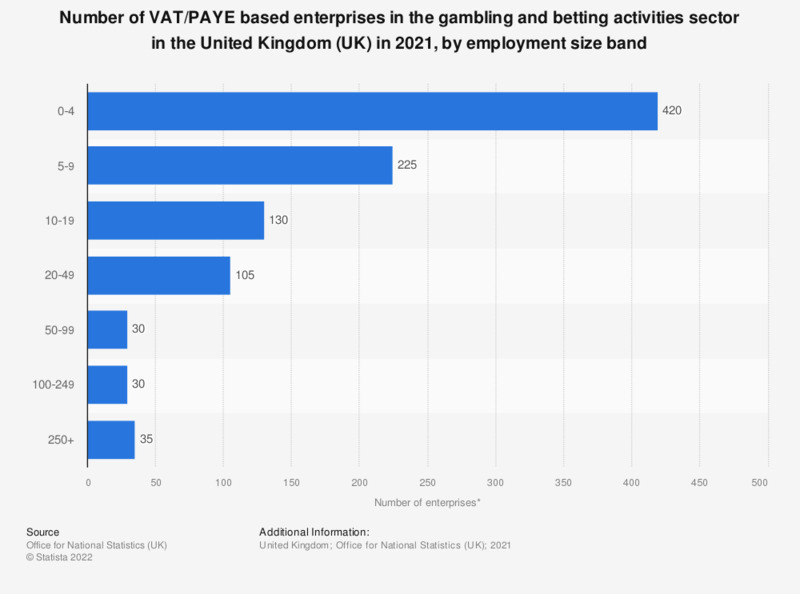 This statistic shows the number of VAT and/or PAYE based enterprises in the gambling and betting activities sector in the United Kingdom in 2018, by employment size band. In 2018, there were 125 enterprises with between 20 and 49 employees and only 35 enterprises with more then 250 employees. Standard Industrial Classification (UK SIC 2007) Division 92.